The moment you enter the front door of Regency Park, you feel welcome. From the carefully selected furnishings, which grace the common areas, to the spacious design of each private residence, you feel a sense of quality and exacting attention to detail. But it is what is going on inside these walls, that makes the difference. With countless ways to invigorate the body and mind, you live every waking moment doing whatever you choose. The Regency Park lifestyle is genuinely inviting. But don't take our word for it, come and visit. You will find an environment that nurtures, entertains and inspires. We are conveniently located in the Gambrills area of Lower Crofton midway between Baltimore Maryland and historic Annapolis MD (with easy access to doctors, specialists, medical buildings, etc). Shopping, churches, synagogues, and fine restaurants are all very close to Regency Park. 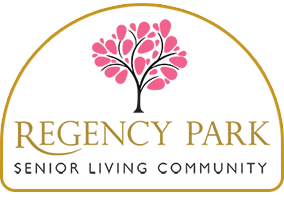 Regency Park is committed to the principle that a well-planned and well-managed senior living community offers the best setting within which to meet the physical, mental and social needs of a large and growing segment of contemporary society. This operating philosophy was inspired to enhance the lives of the elderly by providing the highest quality care and services in well-operated communities designed to improve and protect the quality of life, independence, personal freedom, privacy, spirit and dignity of their residents. A little bit of personalized assistance with certain activities - - bathing, dressing, grooming - empowers you to remain as independent as possible while receiving just the right amount of assistance with the freedom to enjoy all that life has to offer. This convenient and helpful lifestyle makes it possible to indulge in favorite activities, like using the computer, playing cards, or taking up a new hobby. We make it possible for you to remain active as a member of a church or synagogue, or to serve on boards or committees that can benefit from your expertise. We never run out of opportunities to learn, live and grow. Living at Regency Park makes those opportunities more accessible. Helping families and enriching lives. All Regency Park's services and programs are designed specifically to enrich the lives of our residents, so you will feel at ease knowing we are here to help. What's more, our staff is specially trained to help your loved one enjoy a meaningful quality of life. Aging In Place ~ Some assisted living facilities focus on medical care, some focus on social activities; we believe that Regency Park offers the best of both worlds. We have strong health care management team and state-of –the-art medical capabilities that allow our residents to age in place. We also offer an extraordinarily varied program of morning and afternoon activities, seven days a week, offering opportunities for fun and friendship, education, and development. We aim to foster independence, encourage growth, promote laughter, and create a sense of well being that allows residents to flourish in their later years. Visitors Are Always Welcome ~ Friends and family are always welcome at Regency Park. Join us for a meal; plan a birthday party in our private dining room or a cookout on our patio. Bring your community group, to bring your pets to visit, bring your Brownie Troop to sing songs, or your pastor to lead a chapel service. Regency Park and its residents are a vital part of the community. Each Regency Park resident brings to us a fascinating life, unique, unusual stories, and great accomplishments. Moreover, we want to hear all about it. Our staff strives to create a supportive community atmosphere with options like daily recreation, trips, and special events – all to provide companionship and enjoyment of life. Discover how Regency Park offers an alternative to traditional nursing homes, in a beautiful, home-like setting. There comes a time when families face the difficult task of determining alternatives available when a loved one can no longer live alone, or perhaps the need for assistance in everyday tasks of personal care has increased. 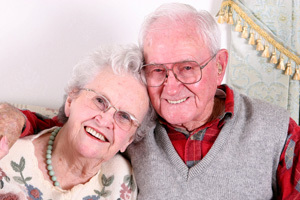 Regency Park provides quality Assisted Living in a Private Home Environment. We offer 24 hour supervised care in a luxury residential setting managed by the career professional. Assisted living offers all the attention you would expect from traditional nursing home care, but in a beautiful, home-like setting. Regency Park emphasizes a warm and comfortable physical environment through the style of dining areas and services, social and recreational activities, common areas for group or private socializing, and ongoing accessibility to community resources and health professionals. Regency Park provides help with tasks like bathing, dressing, meals, medication administration, and housekeeping. In this section, you will learn some of the indications that may suggest that a family member is ready for an assisted living community. 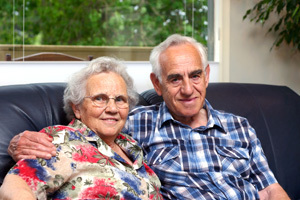 Making a decision about assisted living communities can be a difficult task. We help coordinate transportation to scheduled activities and doctor appointments. Transportation to shopping, cultural events, and areas of interest, etc.